According to the reports from The Telegraph, Real Madrid make their first move in order to secure the services of Premier League star, Eden Hazard, after Zinedine Zidane's arrival. In case you didn't know Zidane returned as Real Madrid's coach last night after 284 days. He left Los Blancos at the end of the last season to take a sabbatical. 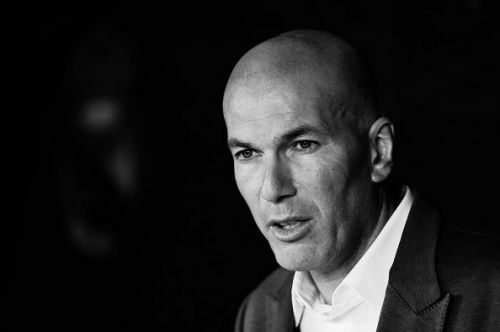 At his first managerial stint in his career, Zidane won everything there is to win in club football except the Copa del Rey in his two and a half season tenure with Real Madrid. On the other hand, Eden Hazard is enjoying a sensational campaign so far. With 13 goals and 11 assists, he is one of the deadliest attackers in the Premier League so far. Hazard is entering his final 12 months of his contract and refused to sign a new deal to extend his stay with Chelsea. Los Blancos are desperate to revamp the squad and provide Zinedine Zidane with a better squad next season. Hazard has always flaunted his desire to join Real Madrid and Zidane's arrival will be a major blow to Chelsea, who were hoping to persuade Hazard to sign a new contract. According to the report, Madrid have made their first move by making a contact with Chelsea and value the Belgian attacker at over £100 million due to the fact that he has only a year left in his contract. Hazard is expected to tell Chelsea he wants to leave the club and won't sign the contract extension to extend his stay. Chelsea find themselves in a bit of trouble with their transfer ban looming over the horizon. After the arrival of Zinedine Zidane, Real Madrid are considering to spend huge in the summer transfer window in order to strengthen their squad. Hazard himself desires to play in Spain and join Real Madrid and it is likely that he moves to Spanish giants after the end of this season. Real Madrid will host Celta Vigo in the La Liga, which will be Zidane's first game as a manager in his second stint with the club.